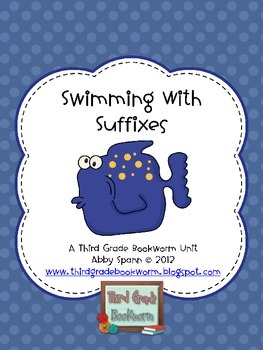 Go under the sea with suffixes! 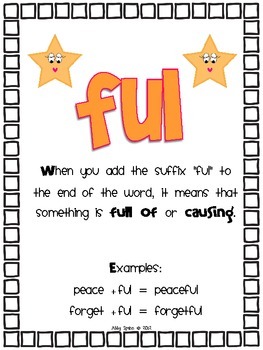 Your students will love this suffixes unit that covers the following affixes: -ous, -ful and -less. 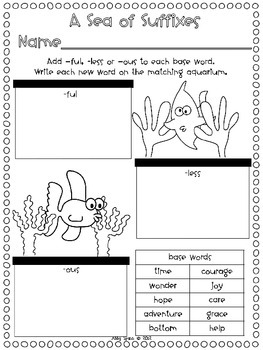 LA.2.ELACC2RF3.d - Decode words with common prefixes and suffixes. 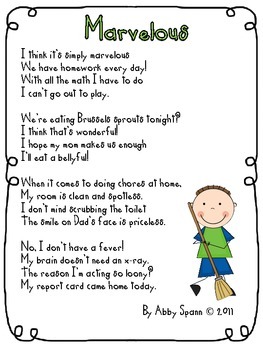 LA.3.ELACC3RF3.a - Identify and know the meaning of the most common prefixes and derivational suffixes. LA.3.ELACC3RF3.b - Decode words with common Latin suffixes.